What Types of Belongings and Furniture Can Be Saved After a Flood? What belongings do you want to save after a flood? Most people would answer, “Everything.” Any home contains a range of valuable items, from appliances to expensive consumer items to cherished personal belongings. Most are vulnerable to water exposure. Solid wood furniture may be sanitized and refinished if necessary. Careful drying techniques may be needed to prevent warping, however. Upholstered furniture might be worth salvaging if the piece is antique and highly valuable. 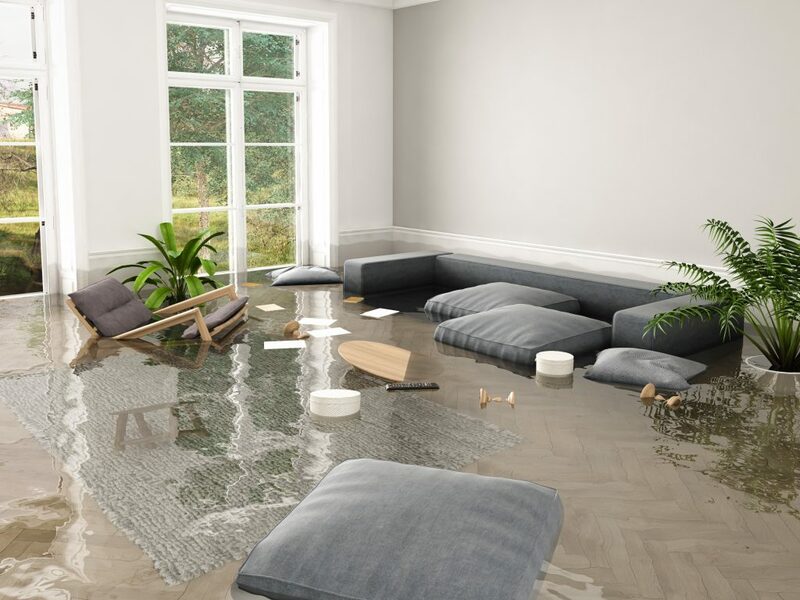 However, in most cases, ordinary furniture with cushions or fabric that has absorbed tainted, toxic floodwater is usually not worth the expense of restoration and should be discarded. Inexpensive wood veneer furniture is generally not salvageable as exposure to water usually triggers delamination. No appliances should be operated after a flood unless checked by a qualified technician first. Most units contain water-sensitive electronics and motors. Gas appliances utilize burners and other metallic components that are degraded by water contact. If flooding in the house exceeded more than a few inches in depth, the high cost of replacement parts and labor means many affected appliances aren’t good candidates for repair and should be replaced, instead. Water and electronics don’t mix. Critical circuit components may be damaged by water exposure and/or resultant corrosion. However, water damage remediation experts may recommend professional drying services where particularly expensive electronics can be treated in a humidity- and temperature-controlled environment to minimize damage. Professional services to salvage water-damaged photographs including specialized freeze-drying techniques are available. Time is critical—action must taken ASAP following water exposure. Important paper documents must be separated into individual pages and gently dried before damaging mold growth occurs. Soaked books must be blotted with absorbent inserts between pages and allowed to air-dry. If floodwater was tainted by toxins such as raw sewage, restoration of absorbent paper items may not be advisable due to health issues. This entry was posted on Friday, February 8th, 2019 at 8:04 pm and is filed under Water Damage & Cleanup. You can follow any responses to this entry through the RSS 2.0 feed. You can leave a response, or trackback from your own site.